For the past 40 years, Gertrude Blom has traveled throughout the highland forests and lowland jungles of Chiapas, Mexico photographing the Mayan and Ladino peoples, their rituals and activities, and their vanishing jungle habitat. Included in this selection, published under the direction of the Center for Documentary Photography at Duke University, are her sensitive portraits and documents of the Lacandon Mayas, one of nine distinct groups of Mayas that she has photographed since 1943. 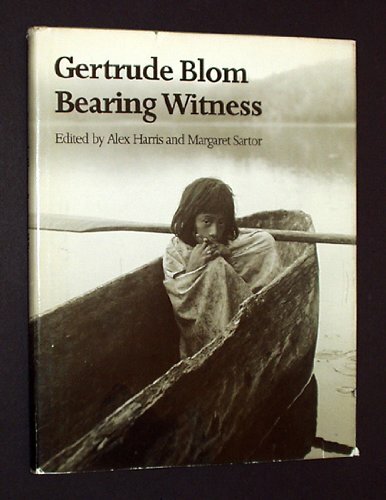 Alex Harris writes: "It is particularly in her photographs of the Lacandones and their jungle environment that Gertrude Blom joins the ranks of other great social observers with a camera. . ."